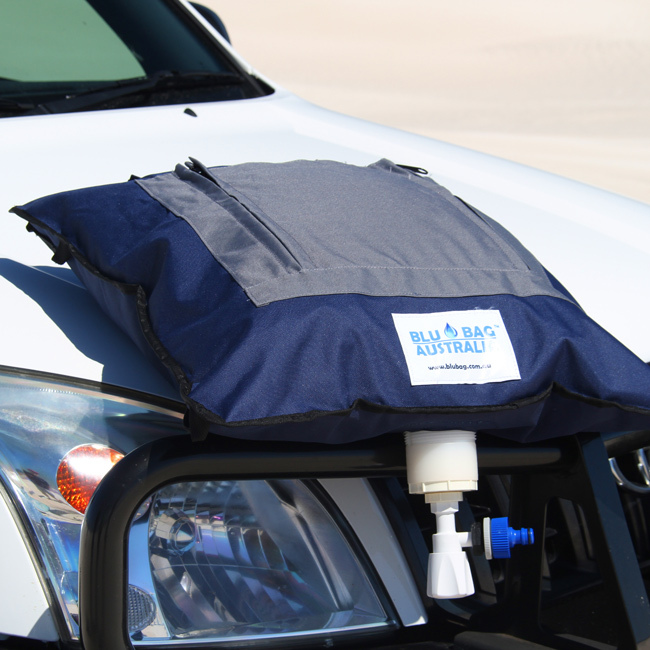 BluBag™ Australia provide innovative portable water solutions based on our unique dual-layer water bladders. Unlike traditional tanks, their secret lies in the dual-layer design with the water protected within a replaceable food-grade insert. That way, there is no need for cleaning and maintenance and the water is kept free from any contamination and tasting great. Our products have been developed for emergency services and military use and are designed to withstand tough conditions and harsh environments. BluBags™ are made using quality materials, whether it is UV resistant PVC or polyester outer layers and food-grade polyethylene inserts that comply with Australian Standards. The dual-layer design means that the food-grade inner layer can be quickly and easily replaced when required. This means that unlike hard-body tanks or ordinary bladders, there is no need for any cleaning or maintenance. When required, just change the inserts and the BluBag™ is quickly restored to new, saving you time, money and the associated headaches. The flexible nature of the BluBags™ means that they can be folded away when not in use and only require very little storage space. Unlike hard-body tanks that still take up space even when empty, BluBags™ fold away and you can reclaim valuable space. The Leisure Range is made from heavy-duty polyester outer and is suitable for 4WD, camping, boating and for a range of home and outdoor activities. Sizes range from 40 to 200 litres. 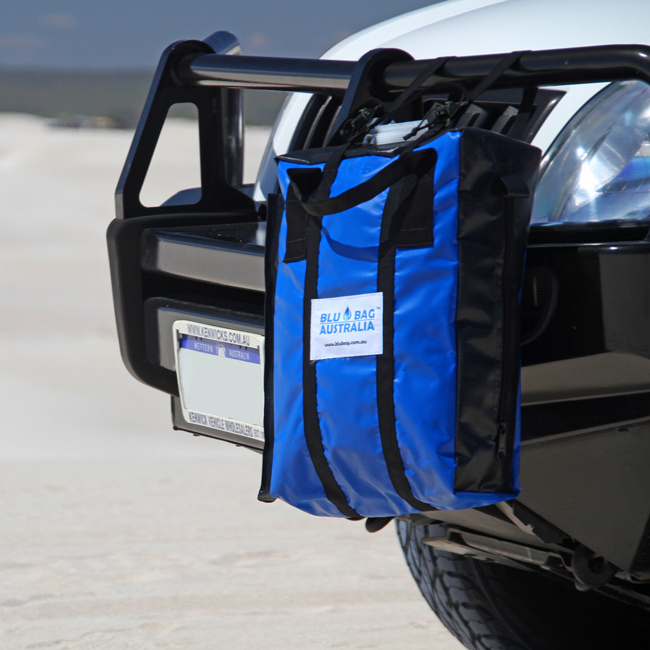 The JerryBag™ Range is is a cost-effective replacement for traditional jerry cans. They can carry up to 20 litres and have carrying and hanging straps for easy use. The Industrial Range is made from a UV resistant PVC outer and is designed to be used in tough and rugged conditions. Sizes range from 100 to 20,000 litres. 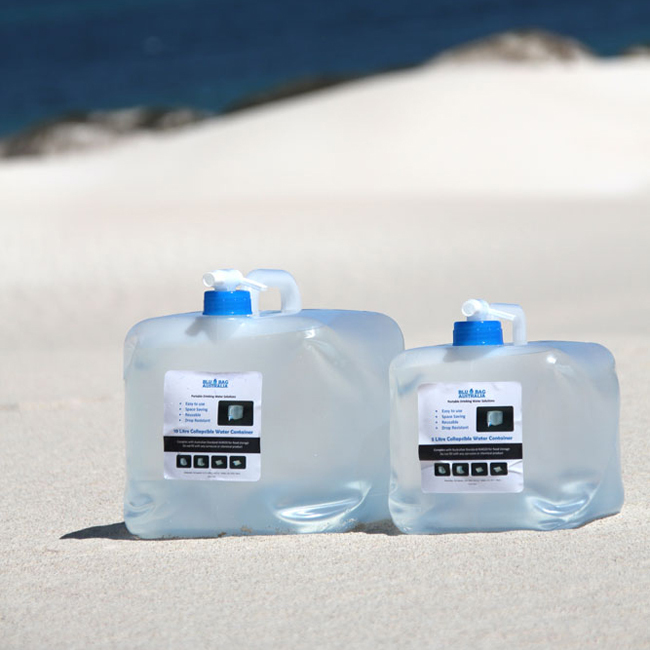 The Personal Range are re-usable, collapsible water containers. They feature a sturdy handle and are easy to carry. They are drop resistant to 2 metres. Available sizes are 5 and 10 litres.